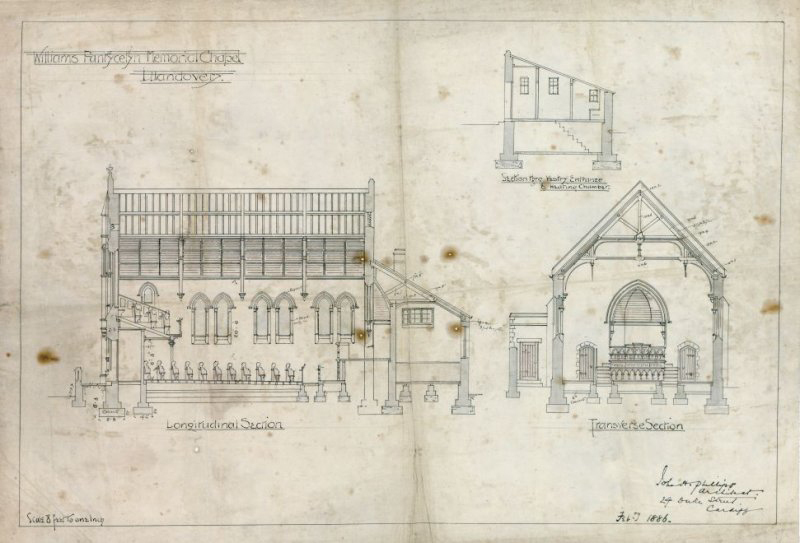 Measured section drawings of Williams Pantycelyn Chapel, dated 1886. Measured elevation drawings of Williams Pantycelyn Chapel, dated 1886. Measured ground floor and gallery plans of Williams Pantycelyn Chapel, dated 1886. Actes du troisième colloque international d’études gauloises, celtiques et protoceltiques, Ogam-Tradition Celtique, Rennes, 1963. 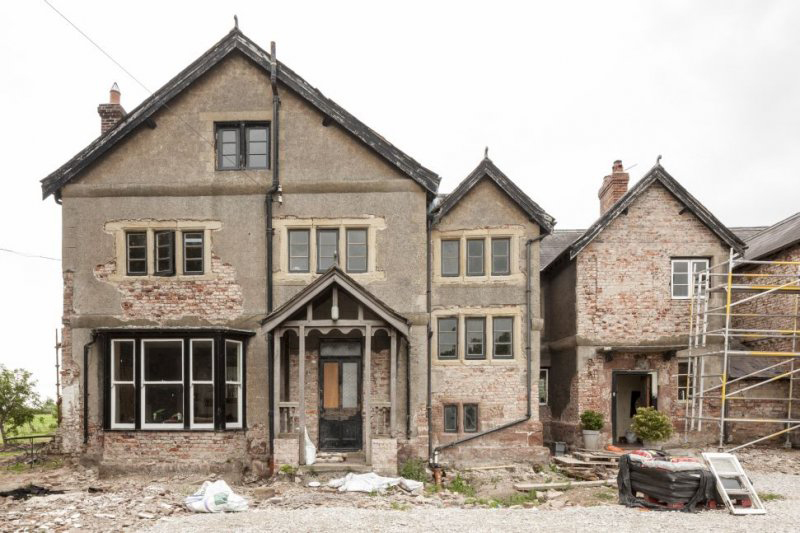 Appleby, Catrina et al., 2015, The Home Front in Britain 1914 – 18: An archaeological handbook, Council for British Archaeology, York. Avery, Michael, 1968, Excavations at Meare East, 1966: An interim report and discussion, Somerset Archaeology and Natural History, Taunton. Bacon, Edward, 1976, The great archaeologists: the modern world’s discovery of ancient civilisations as originally reported in the pages of ‘The Illustrated London News’ from 1842 to the present day, Book Club Associates, Norwich. CADW, 1987, Welsh Historic Monuments (set of 7 Welsh and 7 English cards), CADW, Cardiff. Chitty, Lily F. and Coombs, David, 1968, Bronze hoard and burial mound found at Greensborough Farm, Shenstone, Staffordshire, in 1824. Christie, Patricia M., 1962(? ), The Stonehenge Cursus, Wiltshire Archaeological & Natural History Magazine, Devizes. Crawford, O. S., 1924, Air survey & archaeology, H.M S.O, Southampton. Deetz, James, 1960, Supplement to The Howland Quarterly, Vol. XXIV, January – April 1960, Nos. 2 & 3, The Pilgrim John Howland Society (Incorporated), North Smithfield, R. I.
Dimbleby, G. W., 1978, The scientific treatment of material from rescue excavations: a report by a working party of the Committee for Rescue Archaeology of the Ancient Monuments Board for England, Department of the Environment, London. DOE, 1973, DOE Rescue Excavations: A Meeting held at Fortress House, London, on 22nd February 1973, DOE, London. Dornier, Ann, 1967, Kent’s Moat, Sheldon, Birmingham, Oxford University Press, Oxford. Eames, Elizabeth, 1982, Notes on the Decorated Stone Roundels in the Corona and Trinity Chapel in Canterbury Cathedral, British Archaeological Association, London. Eames, Elizabeth, 1983, An Investigation of the Tile Pavement in the North Aisle of the Presbytery, Winchester Cathedral, in 1969, British Archaeological Association, London. Eames, Elizabeth S., 1975, Decorated Tile Pavements in English Medieval Houses, Rotterdam Papers. II, Rotterdam. Fox, Aileen, 1954, Excavations at Kestor an early iron age settlement near Chagford, Devon, British Council for Archaeology. Groenman-van Waateringe, W. and Butler, J. J., 1976, The Ballynoe Stone Circle. Excavations by A. E. van Giffen 1937 – 1938, Co. Down, Ireland, Palaeohistoria, Groningen. Hampson, Jill, 1982, Removal of a records centre and its contents: a case study, Society of Archivists, Sheffield. 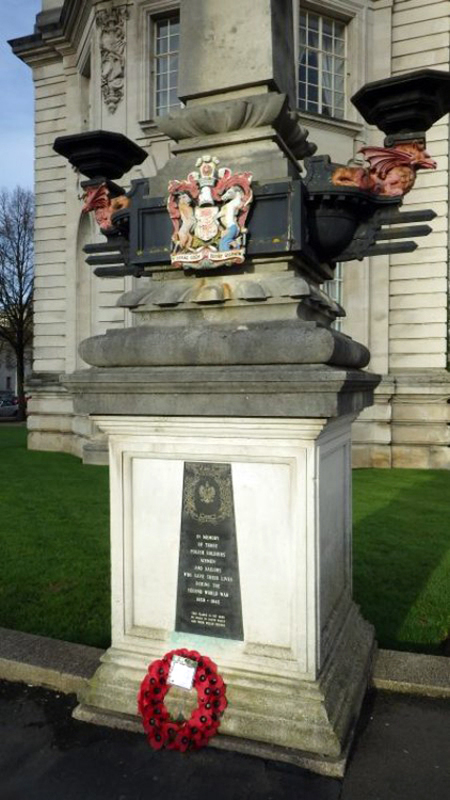 H.M.S.O, The preservation of historic buildings and ancient monuments, H.M.S.O, London. Hughes, H. M., 1912, John Penry, y Merthyr Cymraeg, 1559-1593, Aberafon, Port Talbot. Johnson, Glen K., 2015, Cardigan Castle. Koerver,Hans Joachim, 2012, German submarine warfare 1914-1918 in the eyes of British Intelligence: selected sources from the British National Archives, Kew, LIS Reinisch, Steinbach. Lilley, K. D., 2001, Urban planning and the design of towns in the Middle Ages: the Earls of Devon and their ‘new towns’, SPON Press. O’Neil, Helen E., 1956, Prestbury moat, a manor house of the bishops of Hereford in Gloucestershire. Organisation and Methods Division, 1960, Recording of ancient monuments and buildings, H. M. Treasury, London. Owen, John, 2013, National Eisteddfod lecture August 2013: Emrys Ap Iwan – the man (1848 – 1906). Pryce, Sarah Catherine, 2013, Treasured Memories, Sarah Catherine Pryce, Jeremy Pryce, Llandinam. Radford, C. A. Ralegh, The Roman villa at Low Ham. Radford, C. A. Ralegh, 1955, The excavations at Glastonbury Abbey. Rahtz, Philip A. and Ap Simon, A. M., 1957, Neolithic and beaker sites at Downtown, near Salisbury, Wiltshire. RCAHMW, 1931, Ninth report of the Royal Commission appointed to inventory the ancient and historical monuments and constructions of Wales and Monmouthshire and to specify those which seem most worthy of preservation, H.M.S.O, London. RCAHMW, 1937, The Royal Commission on the ancient and historical monuments and constructions of Wales and Monmouthshire. Tenth interim report ancient monuments of Anglesey, H.M.S.O, London. RCAHMW, 1987, Hill – Forts and Roman Monuments of Brecknock: Seventeenth Interim Report, H.M.S.O, London. Royal Commission on Historical Monuments, 1996, Recording historic buildings: a descriptive specification, Royal Commission on Historical Monuments, London. Savory, Hubert Newman, 1968, Spain and Portugal. The prehistory of the Iberian peninsula, Thames & Hudson, London; Nijmegen printed. Smaal, A. P. et al.,1988, Kijken naar monumenten in Nederland, Bosch & Keuning, Baarn. Smith, George, 1973, Excavation of the Stonehenge Avenue at West Amesbury, Wiltshire, Wiltshire Archaeological & Natural History Magazine, Devizes. Stanford, S. C., 1968, Roman forts at Leintwardine and Buckton, Stroud News & Journal Ltd., Stroud. Stoklund, Bjarne, 1983, Folklife research: between history and anthropology a 75th anniversary lecture, National Museum of Wales, 1983. Vatcher, Lance and Faith, 1973, Excavation of three post-holes in Stonehenge car park, Wiltshire Archaeological & Natural History Magazine, Devizes. Welsh Office, 1992, Planning policy guidance: coastal planning, HMSO, London. Wollner, Diana and Wollner, Alexander, 1956, Waste Berry: An Unrecorded earthwork in the Parish of Brixton Centred Nat. Grid 20/572:539, The Devonshire Press, Torquay. Woodfield, Paul, 1966, Yellow glazed wares of the seventeenth century, Oxford University Press, Oxford. Welsh Mills Society Newsletter no. 120, p. 6: Report by Hilary Malaws describing a visit by the Society to the National Monuments Record of Wales.